The assignment in preparation of his high school choir trip to Rome was to do research on Puccini and his music. John Chonyoong Noh was very excited about the trip. It was the summer between his junior and senior years, and the Madrigals Group, an advanced section of the Annapolis Area Christian School, had been invited to participate in the International Sacred Music Choir Festival in Vatican City, performing Puccini’s Messa di Gloria. John loved singing, but he was set to enter the ministry, just like his father, grandfather, and great-grandfather before him, pastors and a deacon in the Korean Holiness Church. The ministry was more than just a tradition in John’s family. It was a calling, strengthened by a traumatic past. In 1950, John’s great-grandfather had been murdered for his faith by a group of communists under the direction of North Korean dictator Kim Il-Sung—the grandfather of current leader Kim Jong-un—who had him and a group of other clerics locked in a wooden house which was then set on fire. John’s grandfather, who was 8 at the time, vowed to take up the mantle, come what may. John’s father followed suit, studying at Alliance Theological Seminary in Nyack, NY, and then, just after John was born, at the Asbury Theological Seminary in Kentucky. When John was six, they moved back to Seoul. So it wasn’t such a leap when John was sent to attend the private Christian high school in Maryland, which offered theology classes along with the regular high school curriculum. “I immediately phoned my parents in Korea and told them I wanted to be an opera singer,” John recounts. This announcement was taken as a spurt of youthful enthusiasm; everyone, including John, assumed he was going to enter the ministry as planned. He applied to a number of seminaries, but just to test the waters he also applied to the Peabody Conservatory of Johns Hopkins University in Baltimore. To his great joy, he was accepted. His parents, amazed to learn that their their son had such a talent for singing, scraped together the funds to send him there for his first year. But one year was all they could afford, and John had not received a scholarship, so he left Peabody to serve the required two years of military service in South Korea. “I was a tank gunner,” he says. “I shot missiles.” The experience had its benefits: since every male of every background and social class is required to serve in the draft, John befriended a widely diverse group of young men, breaking through the protected circle he had grown up in. He also lost 20 pounds; the demanding physical regimen taught him about health and fitness, so important for maintaining a singing career. But he missed singing. He practiced as often as possible, alone in his tank. “No one could hear me in there. And the acoustics were great!” Near the end of his service, he requested a three-day furlough, which he used to make a video audition tape of him in uniform—complete with sergeant’s stripes—singing a Mozart aria. Peabody not only took him back; they gave him a full scholarship. Peabody led to the Juilliard Master of Music program, from which he will graduate a few days after his Carnegie Hall debut on May 11 as the tenor soloist in Mozart’s Requiem with The Cecilia Chorus of New York. Like his fellow soloist, soprano Danielle Beckvermit, he sang the Requiem as a chorus member during his freshman year of college, and feels he has now come full circle. In the fall, John will enter Yale’s two-year postgraduate program with a full scholarship. And over the summer, he will accompany his father on a mission to Mongolia. His father will preach, and John will sing. 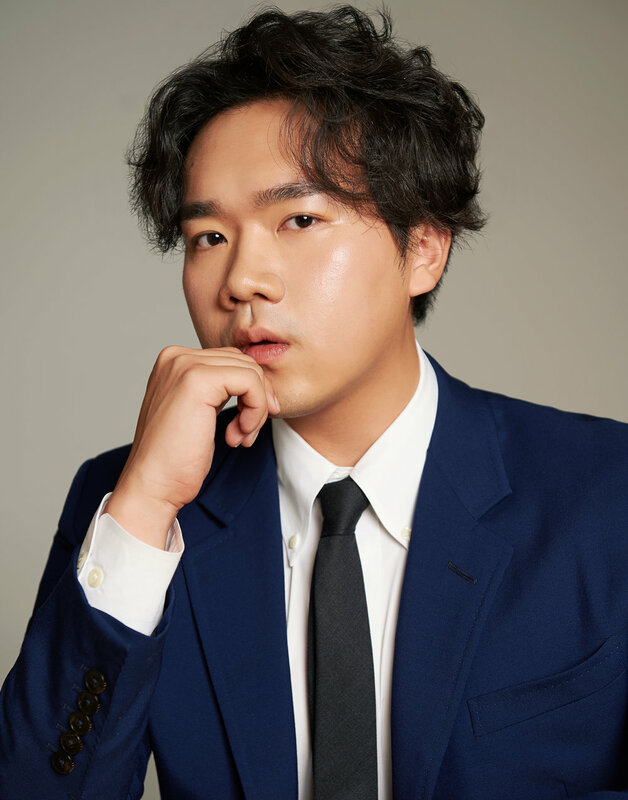 Tenor John Chongyoon Noh is in the master’s program at The Juilliard School, where he studies with Dr. Robert C White. He appeared as Fenton in Die lustigen Weiber von Windsor, covered Bill in Flight, and Tichon in Katja Kabanova at Juilliard. He was seen on Medici.tv in Juilliard’s live-stream master classes with Emmanuel Villaume and Yannick Nézet-Séguin. Other roles include: Lysander in A Midsummer Night’s Dream, Belmonte in Die Entführung aus dem Serail, Rinuccio in Gianni Schicchi, Tamino in Die Zauberflöte, and Ferrando in Così fan tutte. His recent performances include Marilyn Horne's The Song Continues at Carnegie Hall, Juilliard415’s The Genius of Monteverdi led by William Christie at the Peter Jay Sharp Theater, and the concert version of L'elisir d'amore in Hahn Hall at the Music Academy of the West. He has won awards by the Metropolitan Opera National Council Auditions in Washington, D.C., the Annapolis Opera Vocal Competition, and the Gerda Lissner Liederkranz, Russell C. Wonderlic Voice Competition, among others.